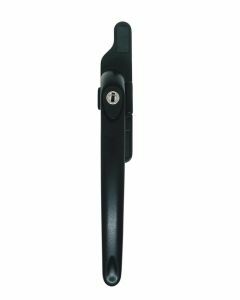 Our Upvc casement window handles are split into three categories, Cockspur Handles, Espage Handles and Spaded Handles. These are the most common type of Upvc window repair handles you will come across on properties today. Replacement window handles for Upvc casement windows are available with different spindle sizes and options, including left, right and inline handed handles in a variety of colours. 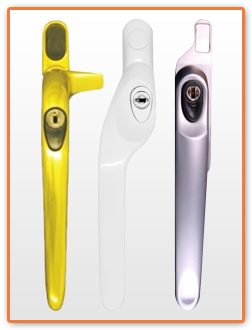 The three main types of handles you will find when trying to repair a Upvc window handle are Espag, Cockspur and Spaded type window handles. 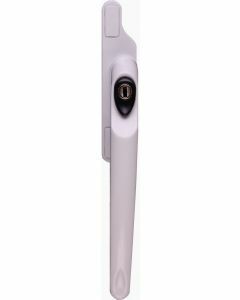 Espag Upvc window handles are fitted with a square 7mm spindle to turn the lock mechanism fitted. Cockspur Upvc window handles, also known as cotswold handles incorporate a long nose that locks over either the outer frame or transom bar cross member. Cockspur handles were commonly used in the earlier days of Upvc windows and are still regularly found today. Spaded Upvc window handles are more commonly used on commercial properties but are used by some suppliers on domestic installations. Spared window handles are fitted with a large rectangular piece of metal protruding which observers say looks like a spade.